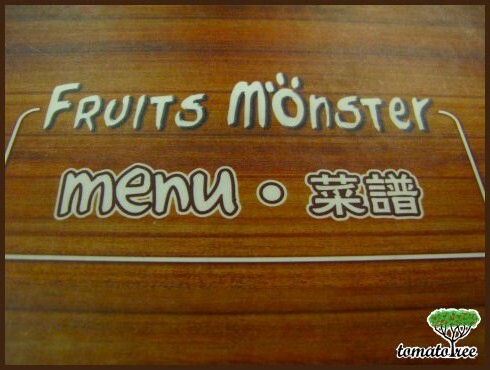 It has a funny but creative name --- Fruits Monster, like Cookie Monster who loves cookies, Fruits Monster is all about fruit. 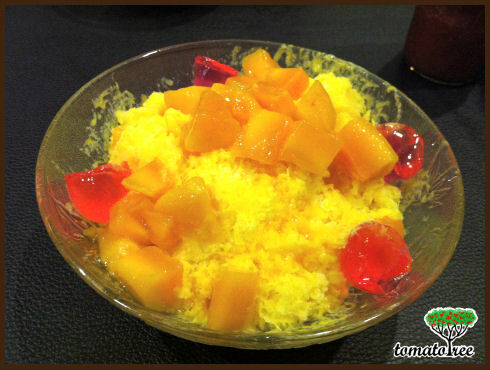 They serves fruit juice, shaved ice with fruits, sago with fruits....even their signature Chicken Chop topped with Fruit Jam too! 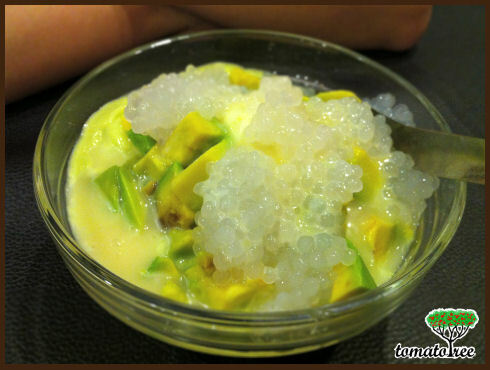 Its the fresh avocado puree with sweetend milk topped with fresh cut avocado and sago, I am a big fans of avocado juice so this is definitely suit my taste. 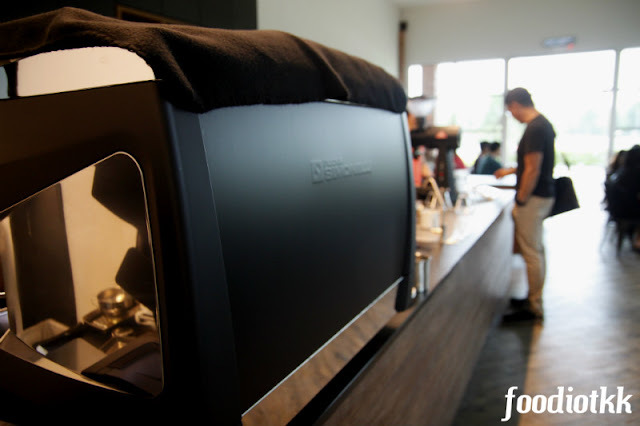 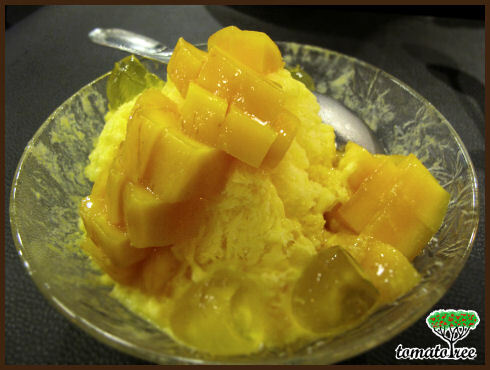 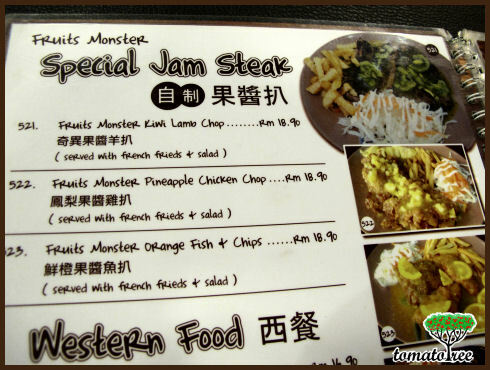 Although Fruits Monster sound like a place which only provide dessert and drink (so called a yum cha place) but actually they do beyond this! 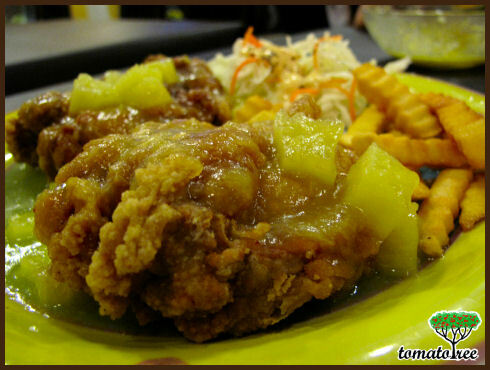 Pineapple Chicken Chop is just one of the great food serves here, but also pasta, pizza and some other Western Food as well as Local Cuisine!